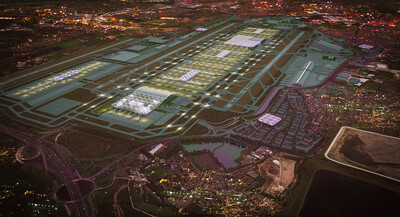 Heathrow Victorious: Does the UK really need a ‘Mega-Hub’ airport...? Why were Heathrow and Gatwick the only feasible options? Why were so many others overlooked? Did the Davies report really consider the right options? Well, at long last and after significant deliberation over the ‘facts’ presented by the Airport Commission in their final report, the decision has been made public and it’s absolutely certain that nobody is in the minutest bit surprised by it. There’s going to be a third runway at London’s Heathrow Airport at some unspecified future time. After successive UK Governments spanning forty eight years have been incapable of making a concrete decision about this issue, we have an answer. Trouble is, it’s about as palpable as the answer to the ultimate question of life, the universe and everything – it might as well be forty two. Although decided, the project has now been placed in ‘limbo’ before the interminable process of public enquiries and objections begins, but they need to be heard and resolved before work can start. By way of comparison, the great pyramids at Giza were completed in less that half that time. Sure, there are people asking if this was the right decision. By this we mean: was this the most judicious decision under the circumstances? It appears to many that ‘short shrift’ has been given to any and every alternative; but why? Our country has undergone some fundamental changes since the Airports Commission study was initiated, changes that have skewed the validity of their findings. We simply don’t know how the ‘butterfly effect’ triggered by Brexit will influence Britain’s status as an air carrier hub in the future. So before investing the thick end of £20 billion in what may turn out to be an albatross, doesn’t it make sense to understand where UK aviation is going and why? Does the UK really need a ‘Mega-Hub’ airport? If so, then why should Heathrow automatically have the right to that status? Are there not more central locations that would better serve the majority of UK residents? 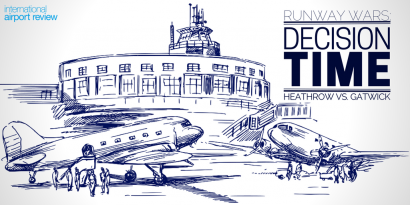 Since the 1920’s there’s been a bias towards airport capacity in the south east, a legacy that stems to when Croydon airport supported London’s role as the ‘hub’ at the centre of the wheel of Empire, and perhaps as the inspiration for Asimov’s Trantor? It appears to many that ‘short shrift’ has been given to any and every alternative; but why? This bias partly explains how the terms of reference were established for the Roskill Commission study in 1968, and its findings, which favoured either a new airport at Cublington, or the development of a site at Maplin Sands. Cublington was quickly scotched suggesting that some influential dignitary had a ‘country seat’ uncomfortably close to the intended location, resulting in strong lobbying for the second option. Eventually the ‘Maplin Development Act’ of 1973 was passed, a sort of Pre-Boris, ‘Boris Island’ if you will. Unsurprisingly, the project hit the buffers in 1973 when the Oil Crisis permanently changed Britain’s energy policy. 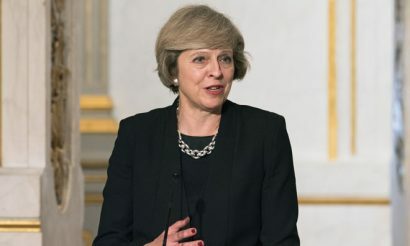 After that, not much happened until the sitting Labour Government explored a third runway option at Heathrow in the 2003 Aviation White Paper snappily entitled, ‘The Future of Air Transport.’ In line with British Parliamentary tradition, the Conservatives opposed the findings during the 2010 election run-up proving that in politics, little changes with time. To their credit, the authors of the 2003 report, the Department for Transport, made a creditable job of forging an in-depth study of the regional airports, arriving at sensible conclusions, some of which have now been implemented, such as the runway extension at Birmingham International. Unfortunately, as no comparative demographic studies were made to establish where additional runway capacity would best serve the UK’s population as a whole, an important opportunity to debunk the conventional ‘South East Centric’ thinking was squandered. 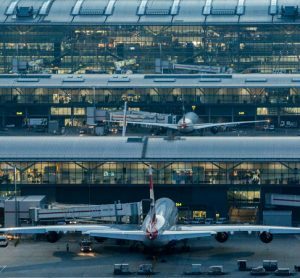 The Airports Commission study was started in 2012, headed by Sir Howard Davies and accompanied by the usual retinue of academics, members of worshipful companies, plus a brace of railway and aviation experts. What’s astounding is that the Davies Commission, instead of building on the DfT’s findings, mostly ignored them, thereby ruling out every airport north of Watford or west of Slough including candidates in the south east. Clearly it’s impossible to arrive at a solution that would fulfil the countries needs and expectations without including regional airports, and they didn’t. Then quite inexplicably the Commission bowed to external pressure, resulting in the resignation of the only commissioner with experience of the aviation industry. At this point, the Commission might as well have tossed a coin to decide the outcome as, while nobody doubted the sincerity of the remaining commissioners, their advisers only ever had one outcome in mind; expansion at Heathrow. The Airports Commissions findings are positive proof of this statement. Summing up, by completely ignoring the option of developing Britain’s regional airports or those underutilised airports around London and concentrated solely on the options at Gatwick and Heathrow, the Commission failed in its task. It should also be noted that neither the Airports Commission nor the Department for Transport reports included the considerable number of former RAF and USAF air bases with very long runways which are presently being used for nothing better than storing hundreds of thousands of second-hand cars. They already have most of the infrastructure in place for an airport in terms of runways, taxiways and hard stands so they’re simply lacking the terminals, passenger infrastructure and navigation aids in order to become active, and would cost a mere fraction of the budget for Heathrow’s third runway. Those in favour of runway in the south east proudly spout figures like “Heathrow and Gatwick are a three hour public transport journey away from 70% of the UK’s population,” but then fail to mention that Birmingham and East Midlands are three hours away from almost 75% of the population. Using the same three hour yardstick, cities like Bradford, Leeds, Manchester and Liverpool are blessed with catchment areas encompassing about 57% of the UK’s population. What those percentages prove is that regional airports are important, and in the case of the UK, they’re chronically undervalued. Looking across the Atlantic to cities like New York or Washington, there’s no perception that these cities are in need of a “Mega-Hub” type airport; the idea simply isn’t on their radar. New York city has five public airports, all owned by the PANYNJ, which don’t directly compete with each other. More truthfully they complement each other by providing a different type of service to each airline according to their needs, be they full service or low-cost airlines. Also, it’s notable that most of the US’s smaller cities also have full service International airports and that passengers aren’t being obliged to trek to LAX or JFK every time they want to fly overseas. Some twenty years after Herb Kelleher first founded Southwest Airlines, a couple of European start-ups, having torn a few pages out of Southwest’s ‘Low Cost Carrier’ play-book, began services. Their names? Ryanair and easyJet. Since then they’ve grown to become Europe’s biggest scheduled air carriers, with a market shares approaching 50% of the total number of available seats. The biggest beneficiaries of this market shift have been the underutilised regional and leisure airports such as Bristol, Exeter, Luton, Liverpool, Leeds Bradford etc. where their lack of congestion has meant faster transit times for passengers and quicker turnarounds for the airlines. As the LCC’s mostly fly point-to-point and don’t offer transfers to arriving passengers these secondary airports are a good fit for their business. As mentioned, the Airports Commission report completely ignored the option of developing any of Britain’s regional airports and concentrates solely on the option for a southern runway at Gatwick and two options at Heathrow. So what did Sir Howard miss in his haste to validate Heathrow as the only option? With the exception of a comment in section 14.62 regarding devolution and that loathsome tax on travellers the ‘Air Passenger Duty’ being placed in the hands of the Scottish Government, the Airports Commission report makes absolutely no reference to the needs of Scotland’s air travellers, except for where they might be transiting through Heathrow. The Scottish Government, in the guise of Transport Secretary Keith Brown, has stated that the building of the third runway at Heathrow will bring “strategic and economic benefits to Scotland,” somehow creating sixteen thousand Scottish jobs from four hundred miles away. As Prestwick Airport belongs to Scotland, perhaps they should have pushed for a solution guaranteeing it’s long term future and development without being tied to supporting the development of an airport in the south east. No mention is made of any additional runways, yet Internet sources show that a second parallel runway is under consideration? As there’s little infrastructure surrounding the airport, and an existing crosswind runway that could be used to connect the old and new runways, Stansted should have been seriously considered in the Davies report. 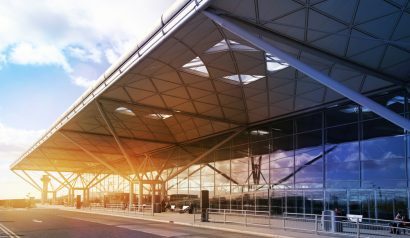 Counting with an existing modern airport terminal with a built-in railway station, offering typical journey times of 50 minutes into London Liverpool Street, it’s also close to the M11 providing direct links to London and to the north. In fact, it’s the ideal spot for a second runway. But failed to get the support of the commission on the grounds of a lack of growth? Apparently once it has grown a little more, some future commission might consider it as an option for the next new runway in the south east. Stansted should have been seriously considered in the Davies report. While this airport struggled to attract passenger services when open, it was very popular with freight airlines, having a 9,000 ft runway and not much infrastructure around the area to cause inconvenience to. Also, Manston played a heroic role during the Battle of Britain in 1940 making it a site worth preserving for posterity. Given its lack of development the airport provided an open canvas for the creation of a new airport fully meeting its users expectations, and with a main railway line passing close to the eastern end of the runway, building a station and providing fast service to St Pancras in a little over an hour was a ‘no brainer.’ Tellingly, this project could have been brought to fruition for a fraction of the cost of the third runway at Heathrow, but sadly, Manston was not even considered by the Airports Commission as a possible option. As for the other London airports, and let’s include Northolt in this group as I’ve seen it mentioned elsewhere as Heathrow’s ‘de facto’ third runway; while they may be fine for short-haul European traffic, they’re totally unsuitable for long-haul flights due to limited runway length, plus most of them are close to built-up areas which severely limits their expansion potential, as is the case with Heathrow itself. One exception is London City which aims to launch a direct service to New York in early 2017. Looking at Heathrow’s management team, it’s clear that there are plenty of talented people linked with the holding company, including Chairman Paul Deighton and CEO John Holland-Kaye, who bills himself as a facsimile of that fictional political rotter, Alan B’Stard. Intriguingly, the list of Non Executive Directors includes such luminaries as Akbar Al Baker of Qatar Airlines, Benjamin Bao of CIC Capital Corporation (the State owned Chinese Investment company,) Chris Beale who’s from the banking sector (Citigroup, Morgan Stanley and First Boston) plus various representatives from the French and Spanish Airport sectors. In addition there’s a shareholding which was purchased in 2012 by the Qatar Holding Group. It’s notable that the holding company, while deeply committed to promoting Heathrow, has interests in other UK airports including Glasgow and Southampton. Their parent company is the Spanish conglomerate Ferrovial which also owns Amey Construction in the UK among its other interests. What’s concerning about Heathrow’s bid for the third runway are some of the claims being made for the benefits this project would allegedly generate if the project were to go ahead. It’s questionable whether the public actually believes that this third runway will benefit the UK’s economy to the tune of £61 billion within fifteen years, and further, that it will increase the number of employees at the airport by a factor of two within the same time-frame? 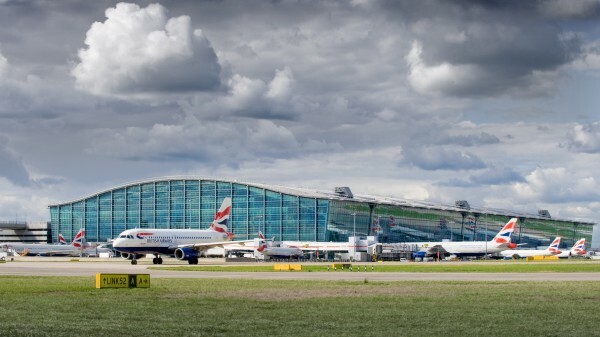 By Ferrovial’s own admission, Heathrow currently contributes £6.5 billion per year to the British economy with its two runways, therefore their claim that adding another runway will improve Heathrow’s contribution by more than 83% while doubling employment should be closely questioned. It’s really easy to make such bold claims when you’re not being obliged to provide any supporting data. Also, some of Transport Secretary Grayling’s statements about this being “truly momentous” and it being a “decisive action to secure the UK’s place in the global aviation market” are conveniently unsubstantiated. Further, his assertion that “a new runway at Heathrow will improve connectivity in the UK itself and boost our connections with the rest of the world” rings quite hollow since the Brexit vote. Does the Government really believe that the people of Harmondsworth, the airports closest neighbours and if the Northwest Runway option goes ahead, soon to be ‘compulsorily purchased’ off their land will perceive that the commissions “Strategic Environmental Assessment” has taken into account their social and environmental deprivation? The scheme will require the bulldozing of most, if not all of their town, plus most of the area between the M4 spur, Bath Road and the current Airport Perimeter Road. Once construction begins, neighbours at the western end of the new runway such as the concrete works and a logistics yard will need rehousing at great expense, not to mention either burying the M25 or building a ‘hump’ halfway down the runway to accommodate it. Their estimation of £18 Billion for a budget seems unrealistic for the scope of work required, especially once the project hits unforeseen problems. Another issue that needs to be addressed is, just how cost effective Heathrow is for airlines from an operational standpoint? When evaluating operational costs such as landing and passenger handling fees it seems hard to justify Heathrow’s popularity when it costs airlines almost four times as much to operate an aircraft from there than it does to operate from Stansted. 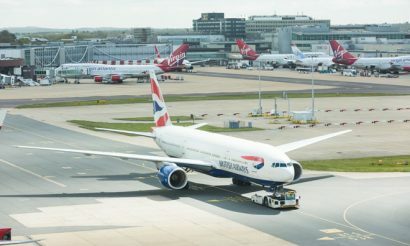 In comparison, Hollywood International Airport in Fort Lauderdale would charge around one seventh of Heathrow’s fees for the same operation with the same passenger complement. At present, Heathrow is operating at around 97% of maximum capacity therefore any congestion at the gates or on the runways has a catastrophic ‘knock-on’ effect on its operations. Also, there are some practices at the airport that might be considered unsavoury such as the tradition of ‘Slot Trading’ which effectively means airlines paying millions of pounds for the right to use the airport, which is of course anti competitive and quite irregular. There have even been cases where struggling airlines have been bought simply for their Heathrow slots, British Midland being an excellent example. In terms of the complexity of the project, Gatwick’s proposal would have made for another simple to implement project. There are fewer neighbours to inconvenience with the main local population centres like Horley to the north and Crawley to the south quite distant from any potential noise problems, and the remainder being mostly villages and hamlets that would be slightly affected, but are far enough away from the aircraft noise footprint to minimise the intrusion. From the operational point of view, Gatwick’s handling charges are about one third of those charged by Heathrow for the same type of aircraft and passenger complement, which makes this insistence on the third runway at LHR all the more mystifying. There’s little doubt that Heathrow is going to be the most expensive option to implement by far and it’s the unfortunate travellers who’ll be paying the price for many decades to come. 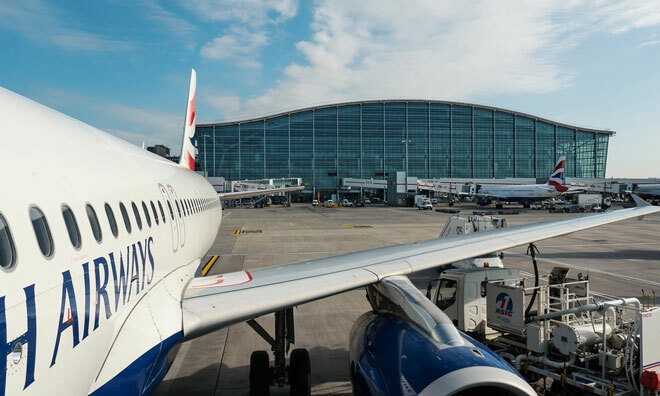 Heathrow is the option that will disrupt more lives, especially in neighbouring towns, necessitating the installation of sound deadening materials and special glazing in thousands of homes around the area. It will impact millions of motorists on the M25 who’ll have to suffer the long-term inconvenience of the public works needed for the runway to pass over the London Ring-Road. Many of the hotels and rental car offices located on the existing airport perimeter road will be obstructing the glide path and run-off areas of the new runway and will also need to be demolished, requiring investment to replace the lost hotel rooms. There are probably thousands of other hidden costs that will only surface if the project ever gets under way, and will push the eighteen billion pound forecast way north of that figure. Include the fact that there are no tangible benefits to be gained from the project at all, and certainly not £61 billions worth, or are we to believe in intangibles? Question is, why has this solution been put forward with so much vigour as the only option for the UK? Why have those in charge of directing policy completely ignored the needs of the vast majority of UK residents to focus on this ‘prime’ project? Who really stands to gain from the implementation of this proposal, because clearly it’s not the British public, nor the visitors passing through our airports. A quick look through the list of non executive directors of Heathrow Airport Holdings might just provide some pointers with respect to potential investors who will be expecting a handsome return from this project, and they won’t be interested in investing in the UK’s regional airports where services are sorely needed, but returns won’t match those of Heathrow. If things we’re not so, then the additional capacity could have been thriftily obtained by developing an existing site, and the ideal option would have been to use the existing Manston airport. After upgrading the road network, inaugurating a rail connection to St. Pancras and building a terminal designed for utility rather than flowing symmetry; the form owing more to the design genius of a Le Corbusier than to Luis Vidal or heaven forbid, George Gilbert Scott. The total project cost would have been less than £5 billions and would have given this historic site a new lease of life, and the south east its additional runway. Instead, the current owners, having systematically stripped the airport of aviation assets, have plans to break-up the runway and turn the site into another faceless industrial estate. What a loss to the UK’s aviation sector. Cynics will say that this is the reason why the newly announced decision has been temporarily shelved while awaiting the fall out from Brexit. In that case, why announce anything at all? The whole manner in which the Heathrow 3rd runway proposal has been jury rigged gives the distinct impression that its architects maybe had prior knowledge that it would win whatever the results of the Davies Commission. That changing conditions have earmarked this project as a possible long-term failure, has knocked the shine off it for those looking to invest. It’ll be interesting to see how the Whitehall mandarins explain this away, conscious of the fact that they’ve wasted decades of valuable time and billions of pounds of the taxpayers money planning this enterprise. I think that we should all feel profoundly defrauded by this outcome as it has always had more to do with ‘prestige’ than with meeting Britain’s actual air transport needs. With many thanks to Steven Woolgrove Allan, General Manager at Trailing Edge Technologies E.U. By Steven Woolgrove Allan| General Manager at Trailing Edge Technologies E.U. I thought the government had admitted it was £61bn over 60 years. Even if this all materialised as revenue income to Heathrow itself, the operating costs would drag profit down to ? £200m to £300m a year at most, judging by reports of their recent financial operations. This would mean their own investment of £15bn plus would take well over 50 years to pay off. This ought to be unacceptably long, so they must have something else up their sleeve like cuts to staff pay and conditions for their own staff and the on-site retail and catering workers, or 24/7 operation, as well as sky-high landing charges. I do not think I have before now read such a coherent and well argued article on the UK Airport lack of capacity in the South East, and proposed solutions. Save Manston Airport association thank you for it. 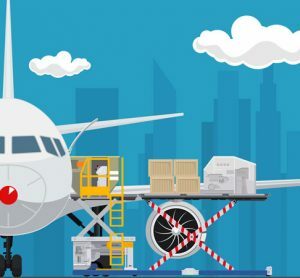 Our ambitions are perhaps somewhat more modest than yours – an airport capable of helping with UK’s air-freight capacity shortage (much being landed on the Continent and trucked through Dover). This would help sustain a passenger service that offers easy access to European and some long haul flights, for the people of Kent, Sussex and perhaps a sector of London. Clearly while RiverOak can fund such a proposal, the more ambitious plans you suggest, with upgrading the existing High-Speed Javelin train line to full HS1 or HS2 are beyond them, and would need a modest further investment. However we hear : “The National Infrastructure Commission is to be put on a permanent footing to help build a bigger, better and greater Britain” and only today a consultation has closed asking for suggestions at this level. Perhaps further proposals within their remit, that would also be of benefit to Manston, as well as helping lift existing restrictions from the East at both the Thames and Channel crossings, would be opening up a corridor in the South East between the proposed Lower Thames Crossing, to Manston Airport and Ramsgate Port, and on to Dover Port. I have been following the ‘Save Manston’ campaign with a great of interest as it has always represented one of the simplest options for providing additional airport capacity in the south east. According to the 2003 DfT report, lack of capacity has always been the issue, and to some extent the use of secondary airports by the Low Cost Carriers has aleviated the situation temporarily, but crunch time has come around again now that LCC’s have such a large market share and more journeys are made. You’ve probably noticed by my criticism of successive Governments that I have difficulty in accepting Whitehall’s imposition of Heathrow as the ‘de facto’ UK airport for virtually all new long-haul business arriving in British airspace. That airlines are now more focused on the longer ‘thinner’ Point-to-Point routes than flying Hub-to-Hub is a clear statement that passengers want to fly from airports nearer to home, but our Government has totally ignored that market shift. That they are so out of step with what travellers want is indicative to me that they’re being influenced by the wrong people; by those who have something to gain from concentrating traffic at Heathrow. Good luck with the campaign, lobby hard and oblige somebody in Parliament to consider the alternatives to the north runway at LHR! Great article although “that cental airport” is clearly Manchester. They have all added new routes , higher frequency or larger capacity since the Airport commission first sat. It is THE only airport that connects all our major regional airports at least twice daily from Inverness in the North to Newquay on the South West. From Norwich in the East to Belfast in the East. As well as Manchester and Salford itself both of which are booming with billions being poured n via private investment. An on site railway station provides high frequency service across a swathe of Northern England from Cleethorpes to Newcastle across to Cumbria and right down to Wales and the midlands. It should have been a naural choice for expansion. It should have been part of the debate this was after all a UK airport capacity debate was it not ? It didn’t fit the answer that was required but with 25m using Manchester in the last 12months and capacity for a further 30m it is an obvious solution. Birmingham sadly has zero long haul demand. 25m in last 12 months. Massive demand with airlines with airlines queuing for slots especially long haul. Central location and the only airport connecting all points of the UK. A coherent and well argued article on the UK Airport lack of capacity in the South East, and proposed solutions. Save Manston Airport association thank Mr Steven Allan for it. Our ambitions are perhaps somewhat more modest than in this article, but it is clear that we are not alone in seeing opportunities for Manston Airport. RiverOak’s plans are for an airport capable of helping with UK’s air-freight capacity shortage (much currently being landed on the Continent and trucked through Dover – and vise-versa). This would help sustain a passenger service that offers easy access to European and some long haul flights, for the people of Kent, Sussex and perhaps a sector of London. This matter is a classic case of how Politicians manage to muddle what is a simple commercial issue. Britain needs runways, all over the country, not just in Hounslow. The fact that the Government failed to see what was staring them in the face i.e new runways at all UK airports, north and south is enough to give anyone the shuddrs when it comes to negotiating Brexit Trade deals. Any opportunistic and sensible Business person, after Brexit, would have poured billions into infrastructure that got foreign Business people into the UK asap and also millions into Tourism, to make hay whilst the Pound dived. May did neither…. for those who can find some runwat capacity… use it to get out of the UK and the wise ones will not come back! Whilst many of the distractors of Manston (Kent International) Airport seem to perpetually dwell on its past failings it cannot be denied that as an airport it still retains a runway capable of handling the largest aircraft currently flying and alas those that are not. (Concorde). we are told constantly that we are so short of capacity that businesses and the economy will suffer unless the problem is addressed. That problem is still not being addressed and it will get worse. By simply allowing the area to be developed, without any real proof of the proposed growth it will bring to the area,we are in danger of throwing the baby out with the bathwater. 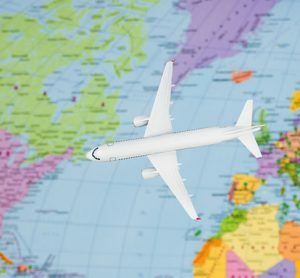 Do we know what’s around the corner for air travel? NO, but there are precedents of transport infrastructures that have been “let go” and then decades later have proven to be needed and the original decision: to close, short-sighted. to the North that was eventually proposed to join with a tunnel link to France. What a cost saving and handy line that would make….in hindsight. chaos? In hindsight a lost opportunity. possibilities are there, the new runways in the existing airports will not be. Order (DCO) the legal firm representing the developers are Bircham Dyson Bell. The economic benefit of these airports is well documented . We most certainly do live in a competitive world, but that doesn’t signify that “bigger is better” necessarily! When talking about hub airports, you say “The economic benefit of these airports is well documented” yet I had trouble pulling up any coherent data from the Internet! Most of the justifications I’ve read online don’t stand up to much scrutiny and I’ve not seen anyone undertake a study of distributing capacity among several airports in a geographic location like London for example, or better still around the main cities of the country now that ‘Point-to-Point’ routes are more attractive for airlines than ‘Hub-to-Hub’ ones. There is a mindset; and it’s closed! It’s worthwhile noting that many of these ‘studies’ that claim such incredible business impacts for concentrating air traffic at hubs like Heathrow are commissioned by business entities, and I have one here from the British Chambers of Commerce (BCC) undertaken by Colin Buchanan. Great, but they focus on business travel, which only accounts for around 30% of the total number of passenger trips through UK airports. While a Heathrow ‘Mega-HUB’ might be great for business travellers, leisure travellers will be heavily subsidising their convenience! In terms of the claims made by hub airports, taking the information presented on Schipol’s website with respect to their contribution to the Netherlands GDP, as they offer no clues regarding the period over which the figure quoted was calculated. It’s a fairly safe bet that the Sterling equivalent of £23bn took considerably more than a year to accrue, given that Heathrow’s contribution to the UK’s GDP is around £6.5bn per year, and I had to go to Ferrovial’s site to find that figure! In small letters under the GDP figure, it clarifies that’s the contribution for the whole of the Netherlands aviation sector, which is comprised of twenty five airports, including three in the Dutch Antilles! Let’s be generous and say that Schipol contributes 70% of that total which would be £16bn, but frankly we’re none the wiser regarding how the Netherlands economy benefits! They also mention that their ‘catchment area’ encompasses 35 million people within 200 kms of the airport. Maybe, but it includes cities in northern Germany such as Bremen, Cologne and Dortmund, not to mention Luxembourg, Antwerp, Brussels, Lille and parts of south east England as well! While the 35 million figure might be correct, who’s going to trek 200 kms to Schipol when there’s a closer airport? At the end of the day, if the UK concentrates airport capacity at expensive Heathrow, the airlines will cram as many frequencies as they can into the airport to spread the exorbitant cost among as many travellers as possible, something they’ve been doing for decades. LCC’s have significantly altered travellers expectations of what an airport can reasonably charge to move them from kerb to plane. Spending £20bn to add runway capacity at the UK’s, and possibly Europe’s most expensive airport, then passing it on to travellers via airport fees and higher airfares will not produce the results the UK Government and potential investors are expecting long-term. Leaving aside all the arguments for and against each possible solution to the capacity problem it is clear that, with Heathrow at nearly 100% capacity and costing very much more to operate to/from than Gatwick, the industry has indicated that it is to Heathrow that they want to operate and is prepared to pay more to do so..
Heathrow has access to a vast and experienced labour force that has the ability to reach the airport 24/7 using public transport and already living in the extended area. In addition all the infrastructure to support the operation of a hub airport is already available, hotels, transport, aviation related companies supplying services to the airport and finally the world has become used to London and its airport – Heathrow. A lot of people worldwide would still ask “where is Gatwick?” and would only consider using Heathrow. Heathrow is where it happens and where the World meets. The question goes far beyond the development of an Airport and includes the development of a large city with housing, services, business parks and ground communications that go to support an airport. If Gatwick was chosen it would result in major construction projects in the countryside extending many miles from Gatwick. Having worked at both Heathrow and Gatwick, starting in 1958 it is clear to me that Heathrow is the right choice. The problem I see is we have failed to invest in our national infrastructure with sufficient effort. We have seen no new runways in such a long time that we need to look longer term than we have recently done however accessibility to our airports and cities is an issue and I will address these first. A large number of roads should have been widened to dual carriage way or motorways to 5/6 lanes with a hard shoulder for emergencies and responders especially with an increasing population as well as vast increases in airport passenger figures such as the 40,000,000 last year which the Davies commission I believe expected in fourteen years from now. The Beeching review into Rail capacity is now also hindering the ability for effective access with a lot of hub and spoke operations with now circular lines allowing for the link around the major cities to feed the best lines for that section of the city or to avoid the travel in to change to another line as I used to do. We need to look at extending platforms and then the actual trains as well as looking at opening new lines including suitable diversion routes from places like Brighton, Haywards Health and Eastbourne to London when regular irregularities occur. On the London subject as my nearest city we need to look at improved rail lines including some London Underground lines as all our major transport centres need a range of viable transport options such as extension of the Central and District Lines from Ealing Broadway to Heathrow as well as services from Uxbridge and potentially West Ruislip to allow passengers, commuters and staff to access both a major airport and various parts of London. Furthermore we need to promote high speed rail to also allow an alternative to flying domestically however this must be reliable and affordable. For Gatwick a rail new link just outside of Horsham allowing services from Waterloo via Epsom, Dorking, Crawley and Three Bridges would allow for redirecting of passengers during engineering works or other trackside issues like the trespasser last night. Similiarly a line from Gatwick via Three Bridges to East Grinstead will allow for connection to other suburban areas and potentially Kent through a small new section of link track north of Lingfield to connect to the Tonbridge line for services to South Kent and parts of East Sussex. Coming back to the airports we have to also accept that following privatisation of BAA our airports are private property and whilst we are keen to see business prosper gaining a good financial return they are also part of the key public transport infrastructure therefore they need to maintain a high level of competitiveness against their rivals whether it is one London airport verses another or competing against Paris, Amsterdam, Frankfurt, Istanbul where a major new airport is being constructed or slightly further away such as Dubai. It is my opinion that we need to plan not for the next twenty years but look at the next thirty to forty years installing surplus capacity to make the airports attractive but at the same time ensuring that they compete not just on route selection but also service standards, value of money for both passengers and airlines alike whilst also allowing airlines expand their services for many years to come something that I suspect will become more important as we develop new trade agreements around the world. With aging infrastructure we limit airports attractiveness to carriers such as limited numbers of larger aircraft stands making it difficult to get slots due to stand restrictions and therefore we need to promote airfield developments including new or replacement terminals to allow for the introduction of more mixed mode aircraft stands accommodating one wide or two narrow aircraft something crucial if we are to launch more flights to emerging markets. Plenty of airlines want to increase services in to both Heathrow and Gatwick including Norwegian Air Shuttle who are reported as wanting to expand significantly at Gatwick with over one hundred aircraft based there in their ideal plan which will see more support to low cost long distance air travel whilst competing against a number of full service carriers offering customers better choice and competition. We need to ensure that we support passengers by allowing that full service, low cost and charter services have the opportunity to bring services to the UK allowing us to benefit from increased connectivity, increased potential business and visitor numbers coming to the U.K. This contributing to service sector and businesses incomes with appropriate tax income whilst we simultaneously look at developing our trade options. It is my opinion that we should look at two new runways in the South East in the short term, with the option to extend Stansted as it approaches capacity however we need to do this whilst also expanding capacity in the Northern powerhouse region with airports such as Manchester and Birmingham being potential development sites outside of the South East which could benefit especially when you take into account there will be improved connectivity from the new high speed rail line. I’m not a Brit, but the London is well over due for another runway (maybe 2). The distortion created by the current constrains creates expense, unnecessary congestion (people have to make connections at other airports because of access) and a noncompetitive situation for UK (can you say Competition of Nations). Many other businesses are supported because of the utility of great working infrastructure. 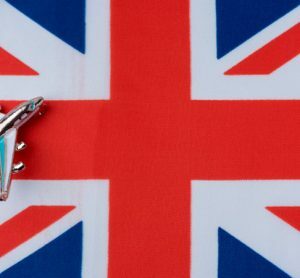 The UK has positioned itself a one of the great centers of the world for humans. Success requires fluid unobstructed movement of people and goods. Airports, trains, bus, maritime ports, roads, underground…etc all have their place. Clearly we wouldn’t build a highway with no exit ramps. That is what aviation is without runways. Airports are off ramps that people use to see their family/friends, do business, government business, holiday, advance human culture/condition and every other endeavor. I read briefly here a coherent argument but I have to say also that there is little that I have not been saying myself for the last four years and which is in print for anyone who wants to read it. The entire process was farcical and I give you here just two of many reasons I have for saying so. (1) Davies, in neither his interim nor final report even mentioned the possibility that the United Kingdom might leave the European Union. (2) Davies, in neither his interim nor final report never even mentioned that Scotland might gain independence. When you consider the profound implications of (1) which has happened and (2) which yet might, for aviation in the UK you have to ask yourself why he was paid so much money and why he was even appointed in the first place. It is so pathetically amateur that it beggars belief and I am amazed that May didn’t simply put his reports in the bin. Actually I’m not, because she doesn’t even know that. She, and Grayling have been ‘advised’ by clueless apparatchiks. Somewhere in the text here is a comment about the only Commissioner with any airport management experience leaving the Commission early for ‘political’ reasons. That person was Geoff Muirhead, once CEO of Manchester Airport, who did a good job implementing the second runway there but whose aptitude for marketing it was far less successful. That is the one critical mistake that was made which left us with the decision we have now. Had Muirhead stayed what we would probably have got is a third runway at Heathrow (because it clearly needs one operationally) but an agreement to the effect that (1) there would be no further additional runway built in the southeast of England until all other spare capacity * has been used up (allowing for the planning processes of course) and (b) there would be a ‘joined up policy’ connecting airport planning with economic planning in the form of the ‘Northern Powerhouse’ and ‘Midlands Engine’ projects. What we actually have instead is a solution to a problem that doesn’t exist, i.e. economic development in the blessed southeast. Neither, in my opinion, did Davies fully understand the changing nature of the airline business with respect to global alliances, ad-hoc alliances and ‘beyond gateway’ hub bypass. He even admitted as much himself. * Incidentally, concerning spare capacity, according to one investigation that I am aware of, the existing, unused runway capacity in the UK is equivalent to 13 times the capacity of an additional, stand alone third runway at Heathrow. D J Bentley, Chief Airports Analyst, CAPA (writing in a personal capacity).